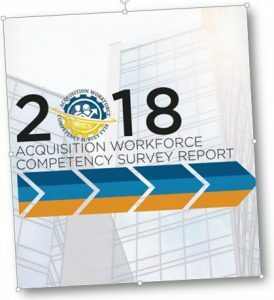 The White House’s Office of Federal Procurement Policy (OFPP) is targeting opportunities to use emerging technologies to improve the federal acquisition process. After more than 25 months and at least two misfires, the Office of Federal Procurement Policy is a step closer to having a full-time, Senate-confirmed administrator. President Donald Trump today announced his intent to nominate Michael Wooten, the senior advisor for acquisitions at the Department of Education’s Federal Student Aid office. If confirmed by the Senate, Wooten would replace Anne Rung, who resigned as OFPP administrator in October 2016. Since the start of the Trump administration, at least two other candidates didn’t make it through the vetting process and Emily Murphy, who many thought was the perfect candidate to be OFPP administrator, ended up coming in as the administrator of the General Services Administration. Innovation has become one of those words that has lost its meaning, particularly in the federal market. Think about what is considered “innovative” these days. Reverse industry days? Vendors and agencies are supposed to talk. Other transaction authority? The Defense Department, NASA and other agencies have had access to OTAs for 25-plus years. After publishing a proposed rule more than five and a half years ago, the Cost Accounting Standards (CAS) Board on July 17, 2018 issued a final rule revising the CAS exemption for contracts or subcontracts for the acquisition of commercial items. The final rule clarifies that the current CAS exemption for commercial items extends to all contract types listed in Federal Acquisition Regulation (FAR) 12.207. However, in doing so, it also creates a potential audit issue arising out of the conditions levied by FAR 12.207 on certain contract types. FAR lists contract types the government may use to acquire commercial items, including firm-fixed-price (FFP) contracts in conjunction with award fee incentives or performance/delivery incentives, known as fixed-price incentive (FPI) contracts. The relevant CAS commercial item exemption states that certain types of contracts for the acquisition of commercial items are exempt from all CAS. 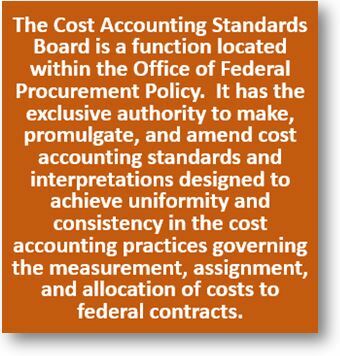 CAS 9903.201-1(b)(6) lists various contract types, including FFP, fixed-priced with economic price adjustment, time-and-materials (T&M) and labor-hour (LH), but makes no mention of FPI contracts. This inconsistency is the result of various amendments over time by the FAR Council to FAR 12.207. The final rule amends the language in CAS 9903.201-1(b)(6) to exempt commercial item contracts and subcontracts authorized in FAR 12.207 from all CAS requirements. Look for this change to CAS 9903.201-1(b)(6) when the final rule becomes effective on August 16, 2018.